Sanjaya is a principal at KPMG LLP (KPMG) and serves as one of KPMG’s U.S. Digital Risk Consulting leaders. In this capacity, Sanjaya helps companies with the reality of emerging technologies that fall within the realms of digital, social, and mobile engagement. Sanjaya helps companies across industries understand how to use digital, social and mobile technologies more responsibly, and the impact of not doing so. Sanjaya has been a primary and contributing author on digital, social and mobile topics in a variety of KPMG and external publications. He’s also spoken on these topics at numerous industry conferences. 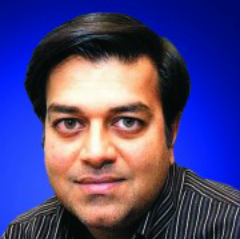 Sanjaya also serves as the Vice-Chair of the North American board of MEF, a global industry trade body focused on mobile content and commerce.